Something fishy is going down in Denmark, and the cast hasn’t been the same since. 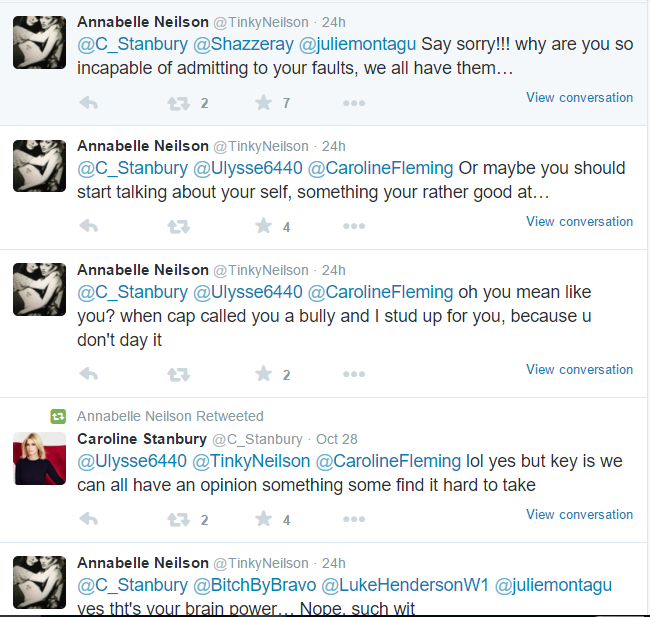 Allegations from Annabelle that Caroline Stanbury called her a bully, and Julie Montagu has wronged her led the feisty Brit on a week-long Twitter tirade! It’s heart-breaking for fans of the show to have this argument made public. 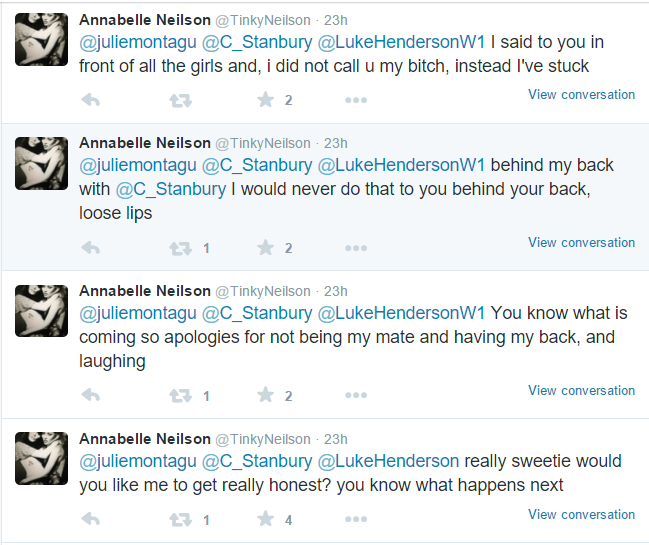 Sides are being taken, and fights among Annabelle’s followers are keeping tempers hot. Let’s hope cooler heads prevail and that BravoTV gives #LadiesOfLondon the reunion show is deserves! Then both sides of the argument can be heard and apologies made to whomever feels they are owed one. Annabelle’s co-stars stayed out of the fray. 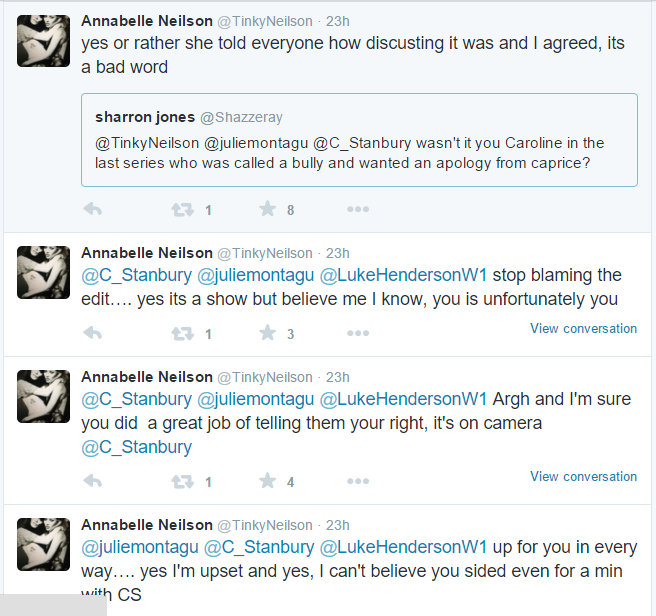 As it stands things between Neilson and her cast mates may be too far gone for Season 3. Time will tell. Reunion! Reunion! Reunion! Why don’t they have one? We need to keep asking!